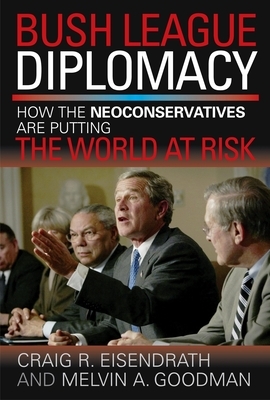 In this comprehensive critique of the Bush administration's handling of international relations, Craig R. Eisendrath and Melvin A. Goodman, both senior fellows at the Center for International Policy, demonstrate the folly and the dangers of abandoning diplomacy and relying on military force as the chief means of conducting U.S. foreign policy. The authors argue that a policy of bullying will sow seeds of resentment and mistrust among our potential allies and encourage nations hostile to our interests to seek nuclear and other weapons of mass destruction as a last-resort method of protecting themselves against a belligerent world power. Eisendrath and Goodman foresee the international community becoming dangerously unstable, not more secure, under a Pax Americana maintained by military might. Craig Eisendrath (Philadelphia, PA), a former diplomat, is a senior fellow at the Center for International Policy in Washington, D.C.; an adjunct professor at Temple University; the author (with Melvin A. Goodman and Gerald E. Marsh) of The Phantom Defense: America's Pursuit of the Star Wars Illusion, among other books; and the editor of National Insecurity: U.S. Intelligence After the Cold War. Melvin A. Goodman (Washington, D.C.), a former CIA official, is a senior fellow at the Center for International Policy, a professor of international security at the National War College, an adjunct professor at Johns Hopkins University, and the author of several books on international relations, including Gorbachev's Retreat: The Third World and The Wars of Eduard Shevardnadze.